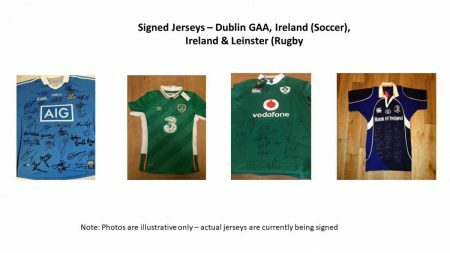 Fundraising: To support our fundraiser for the new Technology Studies Room, we are auctioning 4 signed jerseys as illustrated here (Dublin GAA, Ireland Soccer, Ireland & Leinster Rugby) at Golf Classic on 22nd June. These are ideal for framing and display as a great talking point in your home or business premises. Please contact us with an offer (for 1, 2, 3 or 4). All jerseys signed in 2018.